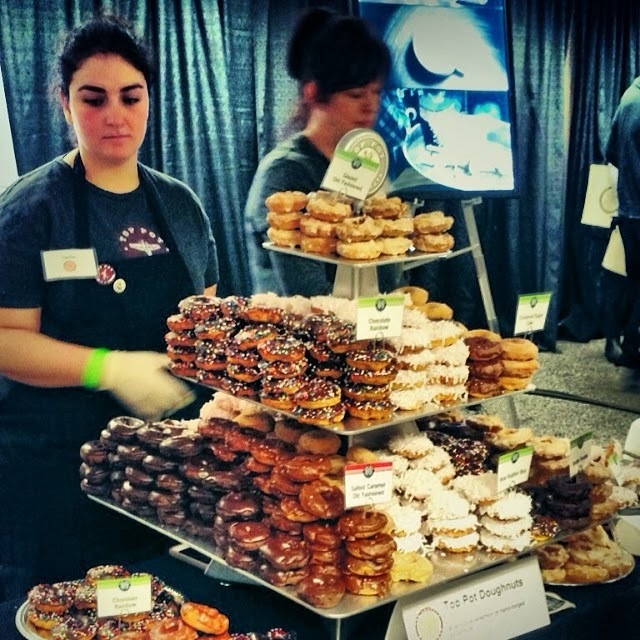 This past weekend was the 2014 Seattle Wine and Food Experience at the Seattle Center Exhibition Hall. 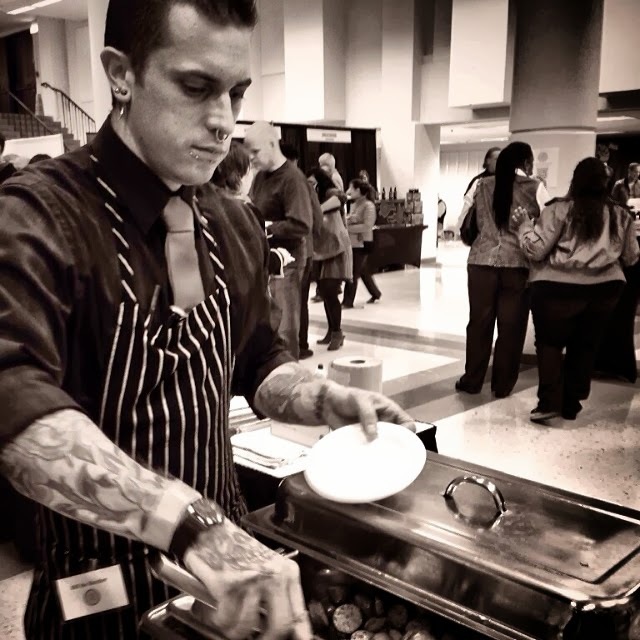 This was my first year attending the event, and I had a great time! My friend Cassie and I arrived before the doors opened at 1:00pm. 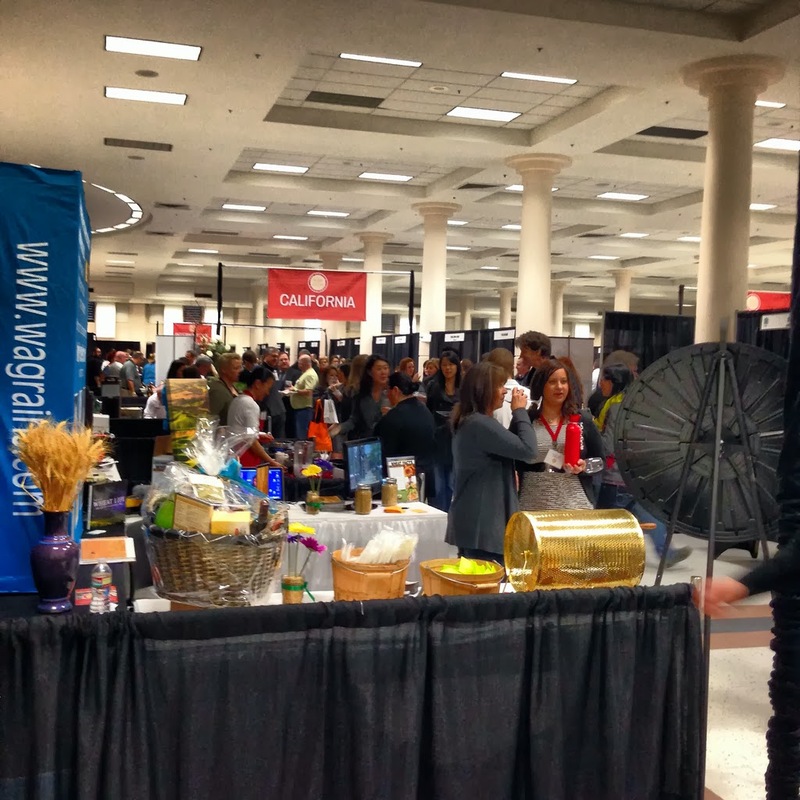 We grabbed our free wine glass on the way in and then scouted out our path through the crowd. The first booth we stopped at was Bill the Butcher, who was serving some of their delicious sausage. 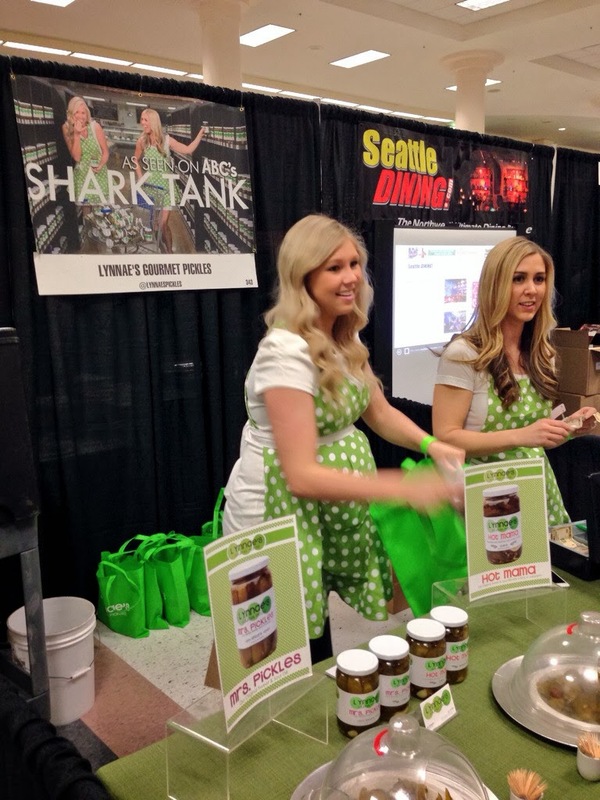 Lynnae's Gourmet Pickles, who was recently on ABC's Shark Tank, was sampling two flavors of their pickles. Portlandia Vintners was sampling some of its wine. 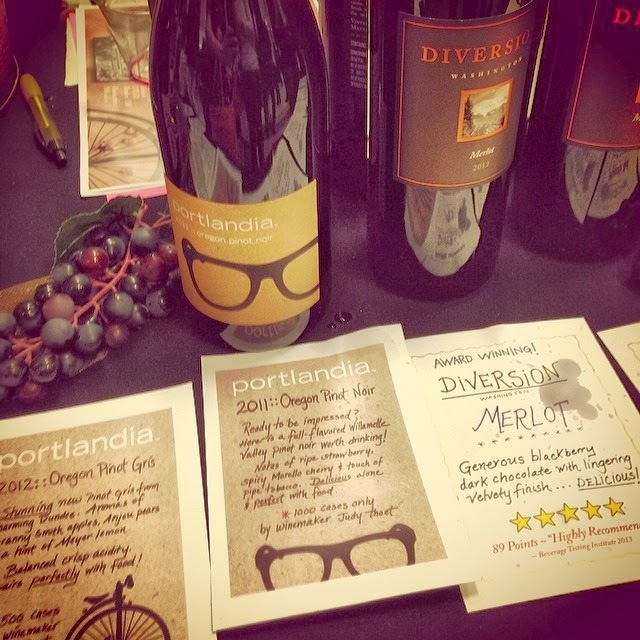 My favorite was the Portlandia 2011 Oregon Pinot Noir. I didn't actually sample any of the distillers, as I knew that if I had any after sampling wine, it would have been lights out for me! 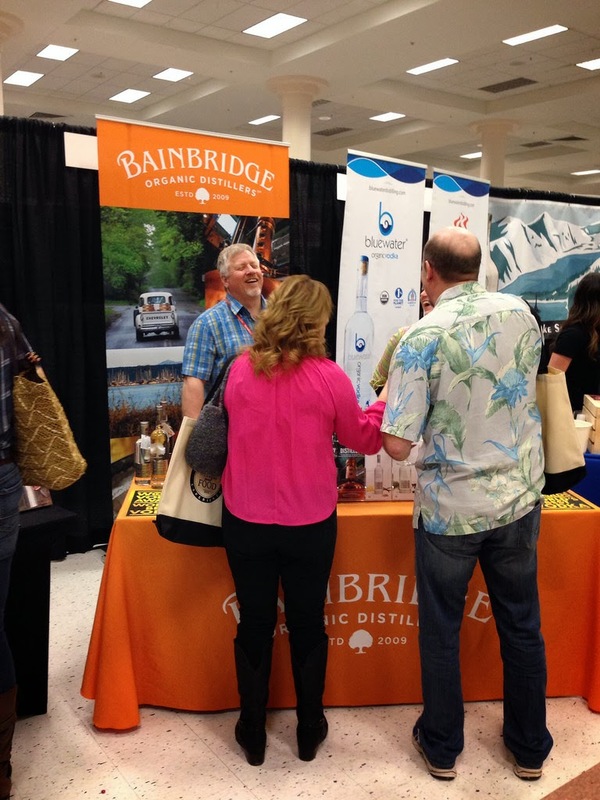 Bainbridge Organic Distillers was sampling some of its liquor. I sampled some of Rusty's delicious cheesecake. I think I could have easily eaten that entire cheesecake. 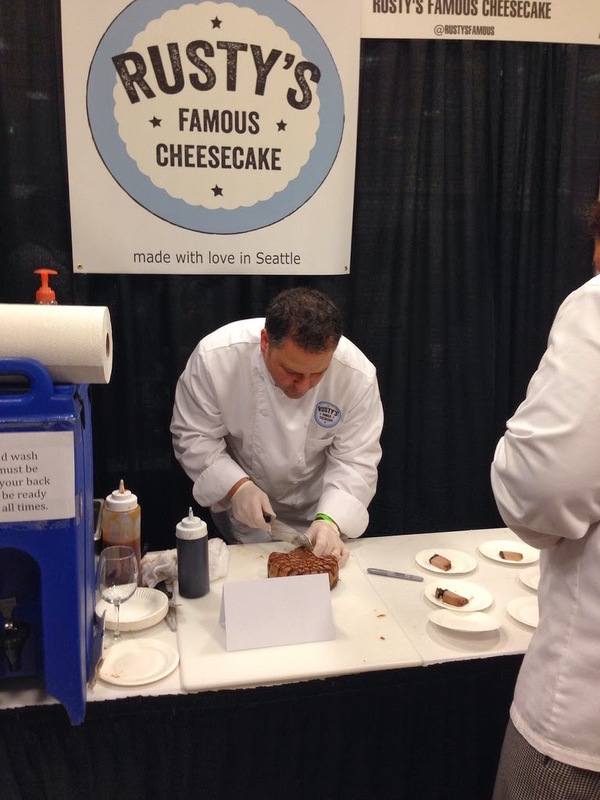 The Seattle Wine and Food Experience had each isle featuring wines and spirits from California, Oregon, Washington and Idaho. Top Pot Doughnuts sampled some of their delicious doughnuts with this amazing display of mini-doughnuts. I would have sampled each flavor if I could!